The New Year travel rush in China has started 15 days before the Spring Festival, which takes place on 5 February. Within 40 days, from January 21 to March 1, China’s transportation systems are preparing for nearly three billion passengers as people travel to family celebrations across the country. At several major train stations such as Beijing or Hangzhou, facial recognition technology is being used so that passengers can check in with their identity cards in just two seconds. 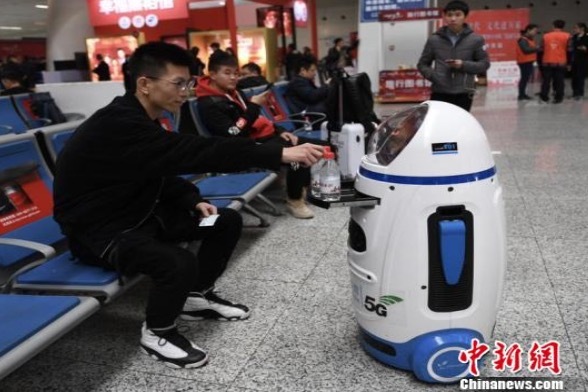 Some stations have installed robots that can communicate with passengers and answer general queries on topics such as train schedules and weather information in destination cities. Online payment for train tickets and payment with the popular Alipay mobile payment system is tested on several major routes.